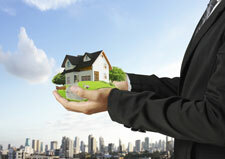 Spring Property Management, Spring Property Managers, Spring, TX Property Management Companies. We offer a full range of Spring property management services tailored to you as an investor, homeowner, or landlord. We have an extensive portfolio of single family homes, townhouses, condos, and apartments in the Spring area. The large geographic area now known as Spring was originally inhabited by the Orcoquiza Native Americans. In 1836, the Texas General Council of the Provisional Government placed what is now the town of Spring in the Harrisburg municipality. In 1838, William Pierpont placed a trading post on Spring Creek. In 1840, the town of Spring had 153 residents. By the mid-1840s, many German immigrants, including Gus Bayer and Carl Wunsche, moved to the area and began farming. People from Louisiana and other parts of the post-Civil War Southern U.S. settled in Spring. The main cash crops in Spring were sugar cane and cotton; area residents also grew vegetables.